There are brands with history, and then there are brands with history. Technics is one of the latter. Created and owned by Japanese electronics giant Matsushita, aka Panasonic, Technics released its first product, the Technics 1 two-way bookshelf speaker, in 1965; the following year came the 20A tube amplifier, and in 1969 the 50A solid-state integrated amp and Technics’ first turntable, the SP-10. Each of these products was pioneering in its own way. The SP-10 was the world’s first direct-drive turntable, a design approach that required cutting-edge engineering and precision manufacture. Technics’ subsequent turntable model, the SL-1200, became, in its many forms, one of the most popular turntables of all time, with more than 3.5 million units sold during its 38-year production run of 1972 to 2010. Technics lost its way in the 2000s, but was reborn in 2014 with a renewed sense of purpose. Their Reference Class R1 and Premium Class C700 product series include digital sources, amps, and loudspeakers, and each is a magnificent-looking object. 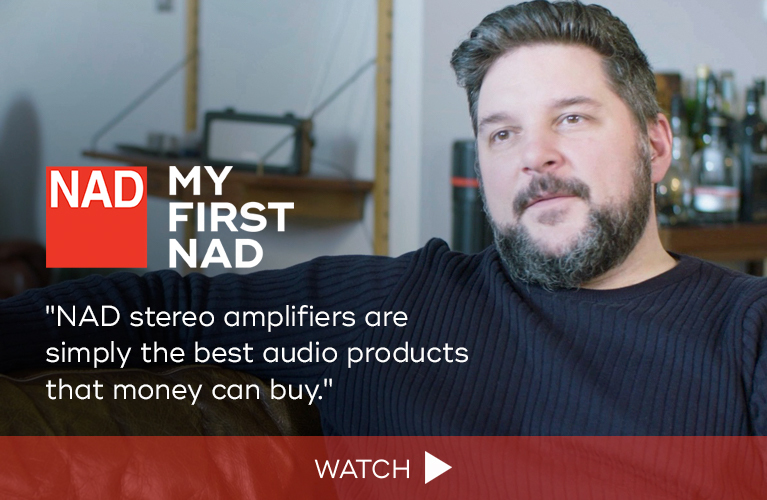 The amps, for instance, feature brushed-aluminum cases, retro VU meters, and, overall, visual designs that honor the past while still looking and feeling modern. The models in Technics’ newest series, Grand Class, are less costly: The Grand Class SU-G30 network audio player ($3999 USD), ST-G30 music server ($4999), SU-G700 integrated amplifier ($2499, in for review), and the subject of this review: the Grand Class SB-G90 floorstanding loudspeaker ($4999/pair). 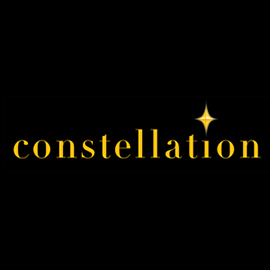 Identity is a vital component of any successful brand. Who are you? What are your values? What does this product represent? It requires a delicate balance: Define your brand too rigidly and narrowly, and its identity may go stale; define it too progressively or broadly or go in too many different directions, and you risk undermining the heritage on which that brand stands. The concept swirled in my mind as I began unboxing the Grand Class SB-G90s. I’d glanced at photos of the glossy black loudspeakers on Technics’ website before the arrival of my review samples, and hadn’t been sure what to make of them. They weren’t unattractive, but they didn’t stand out. As a reviewer, I tend to glom on to one aspect of a product and build my narrative of it from there, and I worried I’d find nothing interesting to say about these unassuming black boxes from Japan. 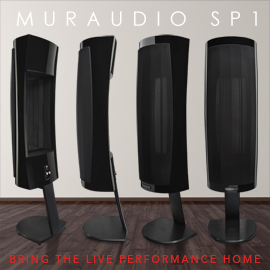 You can bet hard-earned money that if I walked by these speakers at a trade show like Munich’s High End, I wouldn’t spare the SB-G90 a second thought. I’m confident I wouldn’t be alone. And yet, I suspect that Technics is OK with that. What the Grand Class SB-G90 lacks in pomp it makes up for in quiet confidence. As the cardboard shipping boxes fell away from these black monoliths, I noticed that they felt far more solid and upscale than my reference loudspeakers, KEF’s R700s ($3599.98/pair), which are almost precisely the same size. Each SB-G90 measures 43.9”H x 11.9”W x 14.8”D and weighs 71 pounds, and has a Lexus-like solidity. By comparison, each of my KEFs weighs only 57 pounds and feels markedly less solid, with a notably more resonant cabinet. The SB-G90 is built to the highest standard of quality I’ve seen at the price. All baffle edges are rounded, and its reflex port is flush with and seamlessly integrated into the rear panel, unlike so many other speakers -- including my KEFs, whose cheap, plastic-lined ports are pushed into place and secured with an adhesive. Likewise, the SB-G90’s drivers are secured to the cabinet with no visible mounting hardware. Even the included accessories -- the corner base plates, screws, spikes, and footers -- feel special. In setting up the SB-G90s, I got the distinct impression that no detail had been overlooked, that every aspect of this speaker’s design had been fretted over by multiple furrowed brows. Even the subtle aluminum ring that encircles the speaker’s coaxial tweeter-midrange driver is noteworthy: it’s brushed and grooved, its tiny metal canals giving it a bit more sparkle than if it were flat. 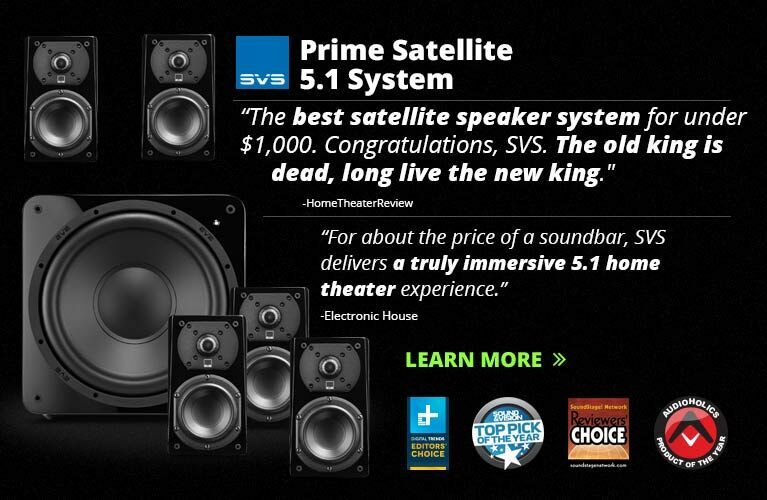 This is the kind of attention to detail that you should expect to be lavished on $4999/pair speakers. Finally, the gloss-black paint job -- the only finish available -- was beautiful. There was a touch of orange peel in the finish, but then again, many new BMWs suffer from the same issue. The SB-G90 is a three-way design. Its 1” aluminum-dome tweeter, partially shrouded by a three-pronged phase plug, is nestled in the throat of a 6.5” aluminum midrange cone, in the sort of coaxial arrangement used in many of Technics’ other current and past speaker models. Below this coaxial driver are two 6.5”, long-throw, aluminum-cone woofers. All three 6.5” drivers are anchored to the rear panel with a subbaffle of cast aluminum in what Technics calls their Balanced Driver Mounting Architecture (BDMA). They claim that anchoring each driver at its precise center of gravity -- in these drivers, very near the rear end -- greatly reduces the amount of nonmusical vibration produced by that driver that otherwise would be transmitted to and throughout the cabinet, to create audible distortion. The SB-G90 also boasts four horizontal reinforcement panels arrayed down the length of the cabinet. No wonder this floorstander felt as rigid and inert as it did -- and in my experience, the stiffer the cabinet, the better the sound. The crossover network occupies its own compartment in the bottom of the cabinet, and features polypropylene capacitors and wiring of oxygen-free copper (OFC). The crossover frequencies are 480Hz (woofers to midrange) and 3.2kHz (midrange to tweeter), but when I asked about the crossover slopes, Technics wasn’t forthcoming. The SB-G90’s specified frequency responses are 27Hz-100kHz, -16dB, and 32Hz-85kHz, -10dB. I asked if they had a ±3dB spec, and Technics’ engineers were kind enough to measure a SB-G90 for me; the result was 42Hz-42kHz, ±3dB. I suspect that that’s an anechoic measurement -- Technics has its own anechoic chamber, something rare in the high end -- and based on my listening, 42Hz seems conservative. A ceiling of 42kHz is remarkable for an aluminum-dome tweeter -- that rarefied atmosphere is usually the exclusive province of costly beryllium diaphragms. The SB-G90’s specified efficiency is 88dB/W/m, with a nominal impedance of 4 ohms and a recommended power rating of 40-150W. I mostly powered the SB-G90s with two integrated amplifier-DACs, both from Hegel Music Systems: the H360 and the new H590. I wired my DH Labs Q10 Signature speaker cables into each SB-G90’s single pair of five-way binding posts -- no biwiring here -- and set them about 8’ apart and 1’ from the front wall of my living room, toed in slightly until I could just see each cabinet’s inner sidewall. I forwent the included magnetic grilles, as is my habit. I streamed music from Tidal HiFi via my MacBook Pro laptop through the Hegels’ USB inputs via a DH Labs Silversonic USB link, and occasionally from my iPhone 7 through the amps’ AirPlay inputs. 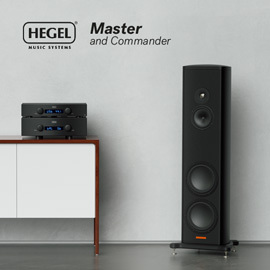 Each Hegel amp was plugged into an Emotiva CMX-2 power conditioner. In many of my recent loudspeaker reviews, I’ve felt like a broken record. For whatever reason, the tonal profiles of the speakers I’ve reviewed have been quite similar to one another: plenty of treble extension and sparkle, and a vibrant midrange. After only a few minutes of listening to the Technics Grand Class SB-G90s, I could tell that they were different. At first, those differences were all I could focus on -- I was dissecting, not listening -- so for the next few weeks I used the Technics speakers only for background music. During that time I found myself pivoting from my regular diet of pop and electronica to singer-songwriters and modern classical composers. There was something intriguing about the SB-G90’s midrange that I kept wanting to explore further. Exploring Max Richter’s earlier works, I was drawn to Memoryhouse, his 2002 debut album, with the BBC Philharmonic Orchestra (16-bit/44.1kHz FLAC, FatCat/Tidal). Kirsteen Davidson-Kelly’s piano in The Twins (Prague) drew me deeply in. I often find myself attracted to speakers that champion pace and articulation, and have a sound in which the focus on an instrument like the piano is on dynamics, with concision of attack and decay. The sound of the Technics, by contrast, was more cerebral than analytical. There was less emphasis on hammers striking strings, more on the resulting texture of Kelly’s emotive chords and melodies. Her keystrokes had a gratifying weight and richness, with subtle warmth and bloom. The SB-G90’s message was clear: If you value dynamics, this is not the party for you. What was special about the Technics was its gentle spotlighting of the all-important midrange. Listening to Fragment, also from Memoryhouse, I was floored by violinist Alexander Bălănescu’s solo. The SB-G90s offered less air and sparkle than have other speakers I’ve heard recently, but the more I listened to Fragment -- I must have played it half a dozen times -- the better I appreciated Bălănescu’s performance. The drizzle of rain that serves as an aural backdrop faded, the violin hanging perfectly in space between the two SB-G90s. Stereo imaging was, if not right out of the top drawer, then probably from the next drawer down, those coincident tweeter-midrange drivers doing their job nicely. I also noted that the SB-G90’s midrange bloom did nothing to obscure my perception of inner detail, a characteristic I often find with speakers that lean to the warm side of neutral. The violin solo was gorgeous. As Bălănescu’s left-hand fingers slid up his violin’s neck, I heard a sweetness in the upper reaches of the instrument’s voice that left me charmed. I have no doubt that the SB-G90’s tweeter can extend well above 20kHz without breakup, but to my ears the aluminum dome was polite. This lent Fragment a slightly dark, intimate feel, more front-row than mid-orchestra. In “Giorgio by Moroder,” from Daft Punk’s Random Access Memories (16/44.1 FLAC, Columbia/Tidal), the famed Italian DJ and producer offers insight into the beginning of his musical career. His voice is closely miked, and the Technics SB-G90s served up a totally unvarnished reproduction of this track, which I’ve heard close to a hundred times through my system over the last five years. I reveled in how expertly the SB-G90s unraveled Moroder’s voice, from his accent to his intakes of breath, his wavering pitches and sibilants -- delightful. The bass line revealed that the SB-G90 was straight-up punchy through the midbass, a good quality in a midsize floorstander -- there was plenty of weight to the sound. Their bass was neither seismic nor the most concussive I’ve heard in my room -- they probably weren’t putting out much of anything useful below 35Hz. But as with its reproduction of the midrange, the SB-G90 seemed to prefer full-fat weight, while skimming a bit from the impact. This was most complementary in nature, and was no doubt voiced that way by the Technics engineers. It gave the Daft Punk track a hint of sumptuousness that was difficult not to appreciate. 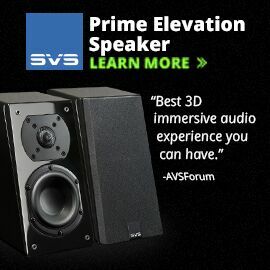 I wondered if this forgiving speaker could handle more explosive content. Could it rock out and bring me to the edge of my seat as well as it had lulled me into a warm, welcome embrace with daintier fare? Well, when I put on “Blood Bag,” from Tom Holkenborg’s tremendous score for Mad Max: Fury Road (16/44.1 FLAC, WaterTower/Tidal), what I heard shocked me a bit. The SB-G90s had exhibited an uncommon sense of presence and tonal color with everything I’d played through them, and now with “Blood Bag,” as with Richter’s Memoryhouse, I found my attention somewhat diverted. I’m used to marinating in the impact of the opening phalanx of drums, and in the blink-and-you’ll-miss-it attack of the brass section in this hammer blow of a track. Instead, I marveled at the raw power and drive of Emad Borjian’s orchestration of Holkenborg’s music. The Technics’ bass control was exemplary. It didn’t necessarily exhibit the speed of a sealed-box design like a Magico, but its composure below 40Hz was special. “Blood Bag” loaded my room beautifully -- I could feel the track in my body as much as hear it through my ears. In some ways, I felt I was listening to it for the first time. If that sounds unusual to read, I can assure you that it’s unusual to write. The SB-G90 may not be as ruthlessly linear as competing speakers from KEF, PSB, or Revel -- companies that design their speakers “by the book” -- but it was eminently satisfying in ways I didn’t know were possible. Speaking of KEF -- after almost six weeks of listening only to the Grand Class SB-G90s, I reinstalled my reference R700s. Like the SB-G90, the three-way R700 ($3599.98/pair) has a coaxial tweeter-midrange drive unit married to two 6.5” woofers. The differences weren’t as profound as I thought they might be, and had more to do with tonal balance than resolving ability or transparency. 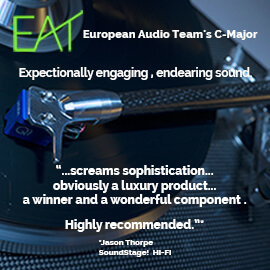 The KEF sounded as if it had a flatter frequency response, the Technics as if it had a slightly elevated bass output and lightly attenuated treble. Listened to immediately after those weeks of listening to the Technics speakers, my KEFs seemed to lack the SB-G90s’ unswerving sense of midrange presence. With Max Richter’s Twins (Prague), for example, the solo piano sounded lighter and airier through the KEFs, less visceral. In fact, its sound bordered on the glassy and hollow. For most of my seven years of reviewing I’ve counted on KEF’s R-series models -- first the larger R900s, now the R700s -- as my references, but neither model had ever sounded this way to me before. I think this speaks volumes for how well Technics has voiced the SB-G90. It may not offer the R700’s textbook neutrality, but I found that it offered the more compelling reproduction of recordings such as this. But with Richter’s Fragment I went the other way: The KEF R700s produced a more atmospheric display: The rainfall was more prominent, as was the high-frequency extension of the violin. The combination of these made the soundstage sound bigger through the KEFs. With “Blood Bag,” from Mad Max: Fury Road, the KEFs offered bass extension and control that were similar to the SB-G90s’, but I give the nod to the Technics in each column. The SB-G90 created an unholy thunder in my living room that was deeply impressive, and that my system hadn’t been able to replicate for several years. I favored the R700s for the rest of this track, however. Between the whip and snap of those massive drums, the crisp metallic flavor of the brass, and the edginess of the electric guitar, the KEFs have a vigor and dynamism that are infectious with such rowdy material. Thankfully, both pairs of speakers could play “Blood Bag” at high volumes without giving up the ghost. Ultimately, then, it’s a matter of interpretation. Each of these speakers is excellent, and I found myself favoring first one, then the other, depending on the music I played. The $1400 difference in price between them comes down to build quality. The KEF is now a seven-year-old design and is beginning to show its age: It still looks and feels good, but not great. The Technics is not only built better than the lower-priced KEF, it’s built to a standard far beyond what I usually see at the Technics’s own price point. You get what you pay for -- and, in the case of the SB-G90, a good bit more. Don’t be fooled by the modest appearance of Technics’ Grand Class SB-G90 loudspeaker. From the ashes, the legendary Japanese manufacturer has produced a beguiling musical transducer that is not only well engineered but built like a brick house. At the $4999 price point, the latter is usually sacrificed to guarantee the former, but not here. The SB-G90 is an expressive, well-damped instrument with a bewitching midrange and a powerful bass response. And the pair of them imaged something fierce. While the SB-G90 has some healthy competition, I’m confident that anyone who gives it a listen will appreciate its many virtues, as I have. Price: $4999 USD per pair.